Mayors from Fort Worth, Arlington and other Tarrant County cities gathered Sept. 20 on South Campus to discuss taking the Mayors’ Monarch Pledge to protect monarch butterflies at the city level. 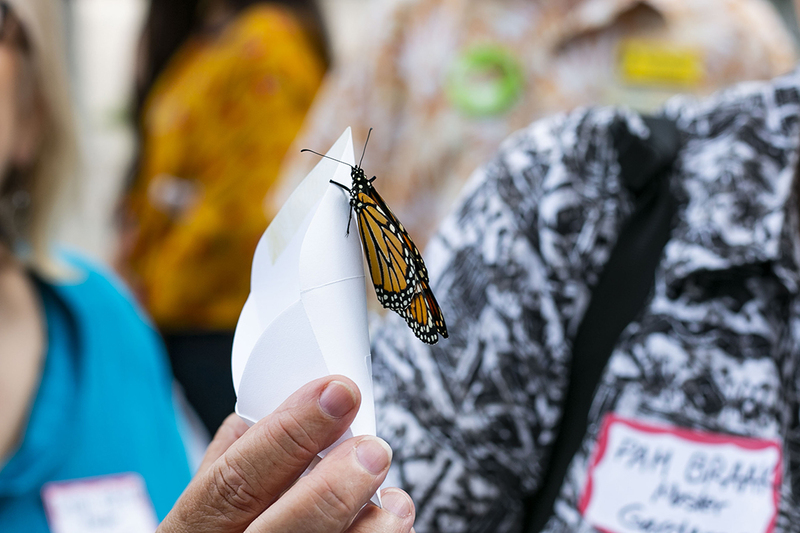 Keynote speaker Susan Kaderka, regional executive director of the National Wildlife Federation, spoke on the importance of monarch butterflies making a rest stop in Texas during their migration patterns. South Campus president Peter Jordan releases a new monarch butterfly following the Sept. 20 summit on South. “More than a third of the food that we eat requires pollinators to grow,” Kaderka said, emphasizing the need to save these traveling pollinators. The initiative of the Mayors’ Monarch Pledge is to get mayors of cities across America to make action through policy. The full pledge is 24 steps that each city can take to ensure the butterflies’ safety, but only five steps are required to complete the pledge, Kaderka said. 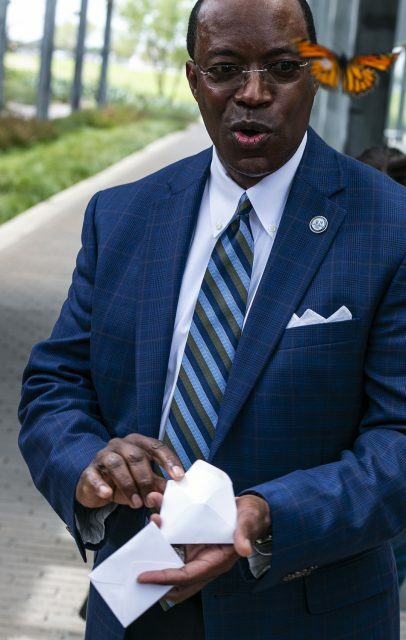 Arlington Mayor Jeff Williams was the first to challenge the mayors of Forest Hills, Westlake, Burleson and Mansfield in a race to complete the steps of the pledge. 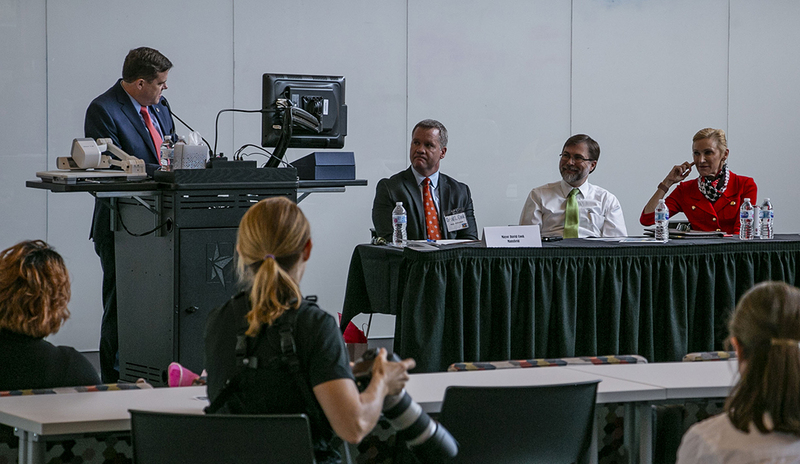 Tarrant County mayors discuss taking the Mayor’s Monarch Pledge and issue challenges to one another to save the species during the summit. Westlake Mayor Laura Wheat said her town has already started with programs that have elementary school students measure and track monarchs all year long. “The hope is that the knowledge gained at school will carry over to further restoration of the monarchs,” Wheat said.